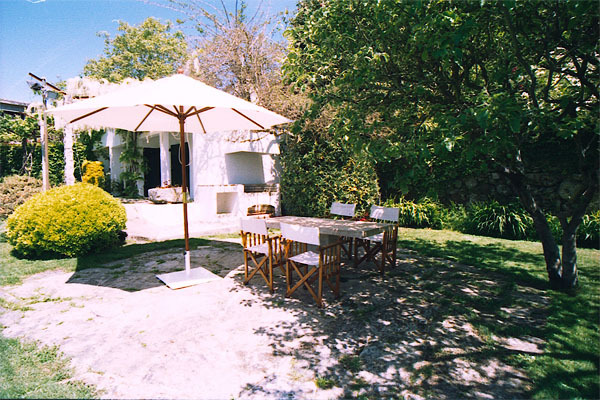 A charming and typical farmhouse set on the hills near Moledo, a picturesque village overlooking the mouth of the river Minho and Portugal's most northern Atlantic beach. Surrounded by orchards and colourful gardens with fruit trees, where you may enjoy peaceful strolls, this home is of characteristic rustic style with beamed ceilings and ancient stone fireplace. 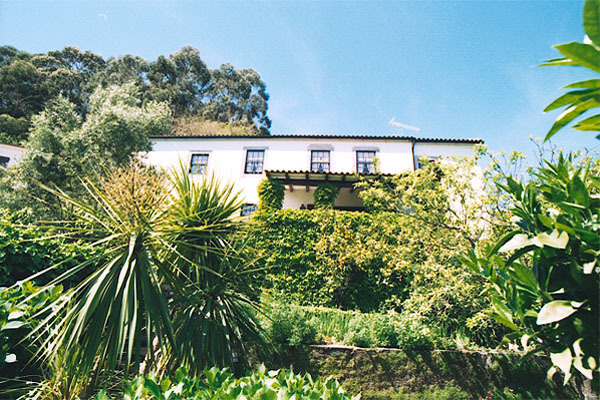 This villa was restored by the present owners to provide comfortable accommodation and special attention has been given to preserve the original structure and its features. The charming balcony, a typical feature found in local farmhouses, overlooks the garden. 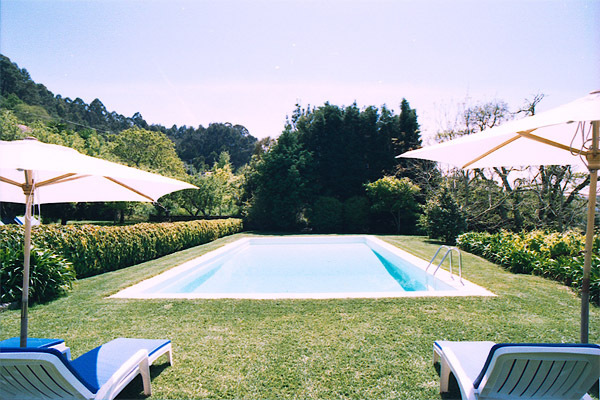 The swimming pool is surrounded by large lawns with shady corners ideal for al fresco dining. Lower floor: Spacious living room with comfortable seating, open fireplace, satellite TV and a board games table. 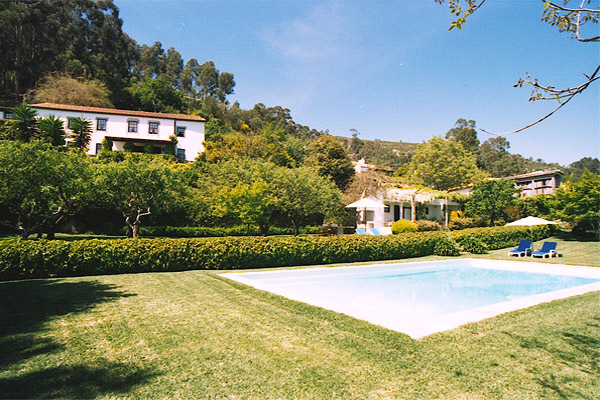 Doors opening onto a covered terrace with delightful views over the gardens and swimming pool. Two double bedrooms of which one has twin beds. Adjacent bathroom. Upper floor: Dining room with table seating up to 8 persons. Enclosed balcony with comfortable seating and door leading down to an outdoor terrace. Fully fitted kitchen. Living room with sea views. Single bedroom and adjacent bathroom. Master double bedroom with sea views. Well maintained gardens with various mature trees. Covered terrace with table and chairs ideal for al fresco dining. Pool house with a kitchenette and nearby built-in barbeque. 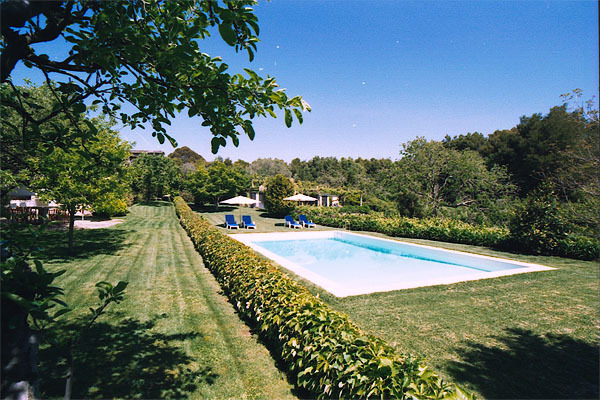 The swimming pool is 12 metres long and 6 metres wide. The depth is from 0.90 to 2.20 metres. Shower and toilet.